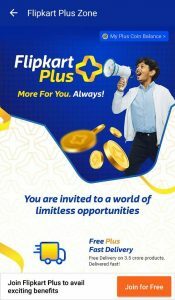 Trick to Activate Flipkart Plus Membership Free for a Year + Coins & Free Vouchers Loyalty Program!! – Finally, Flipkart is here with a Flipkart Plus Membership update, a similar program like Amazon Prime. 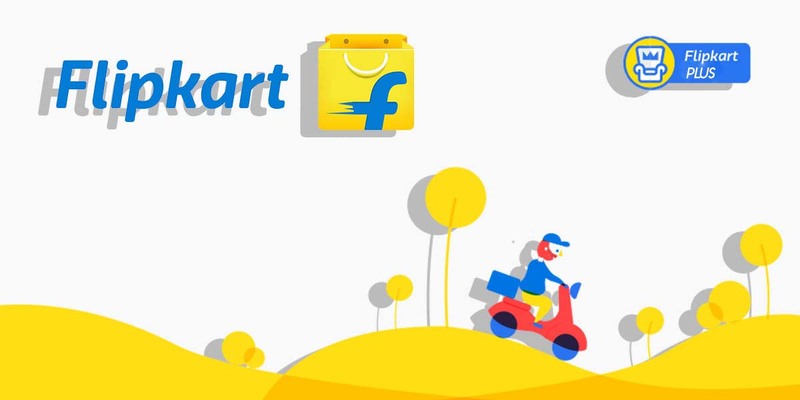 Unlike Amazon Prime Paid Subscription, Flipkart Plus Subscription will be free of cost for all the Flipkart Users using which one can avail Free Fast Delivery, Early Access to Special Sales, Premium Plus Support for Free and Other Loyalty Program & Rewards. Officially, Flipkart Plus Membership will launch on 15th August 2018 but we have got a trick to activate or get Flipkart Plus Membership or Subscription before its launch and start availing its benefits. Let’s check all the details and features. Update: Now everyone can activate Flipkart Plus Membership for Free for 1 Year. Check the New Updated Steps below. Step 1: First of all, Uninstall the Older Flipkart Version from your Smartphone. NOTE: Flipkart Latest Version v6.6 is not yet available on Play Store therefore follow the given link above to download Flipkart apk v6.6 (from AppLawn). Step 3: Install and Launch the Flipkart App and Login to your Flipkart Account. Step 4: Click on Menu and select Flipkart Plus Zone option. Step 5: You will get introduction about Flipkart Plus Membership along with your Plus Coins Balance. Step 6: Just click on Coins Balance and you will see 50 Coins already. Using this Balance, you can activate 1 Year Flipkart Plus Membership for Free. NOTE: If you don’t see 50 Coins then maybe you missed Bonus Coins. In such cases, login with the account on which you did shopping before. Free coins are mostly given to the testers. Step 7: Come back to Flipkart Plus Zone and click on Join for Free button situated at the Bottom of the screen. Step 8: Yo!! That’s it. You are now the part of Flipkart Plus Membership for a Year. Enjoy Free and Fast Delivery, Early Access to Sales, Premium Support, Loyalty Program and much more. TIP: Explore Flipkart Plus Zone and checkout the Offers. There are many Welcome Offers, check and avail them ASAP. 1. First of all, Visit any Product Page on Flipkart in your Computer or if you are on Mobile Phone then Request Desktop Site. 2. Scroll down and you will find Flipkart Plus Membership Banner. Just click on Try Now. 3. That’s it. Flipkart Plus Membership will be activated on your account for Free for a Year. Enjoy Free Fast Delivery and Other Features listed above. Question: What are the benefits that a Flipkart Plus member gets? Free Delivery – Get free delivery on 3.5 crore products, across both FAssured and other products at serviceable pincodes. Faster Shipping – Get faster delivery on select products at serviceable pincodes. Early Access to Sales – Get access to select sale events such as Big Billion Days, Big Shopping Days etc. a few hours before other customers. Priority Customer Support – Experience shorter response time to reach our customer support team. 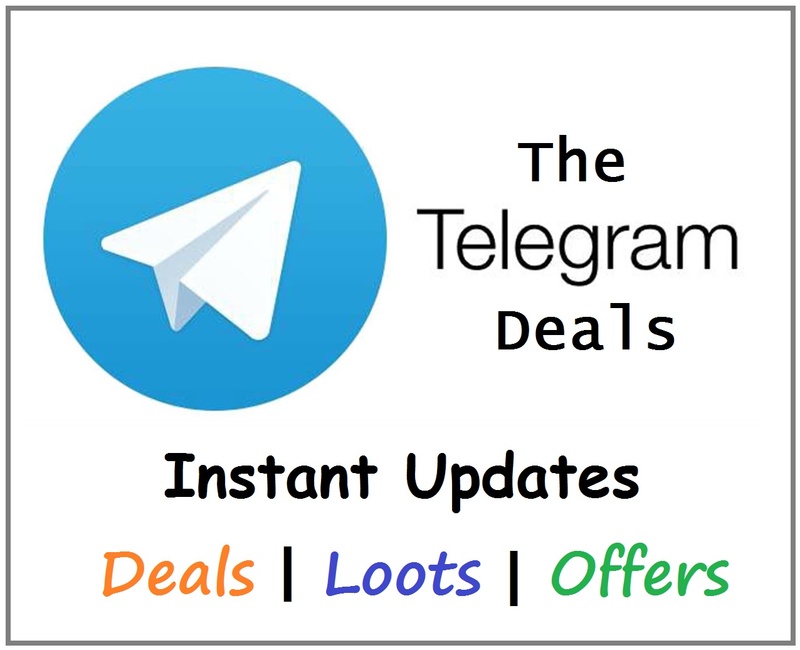 Exchange Coins for Offers – Claim great offers on shopping, travel and entertainment. Question: How do I earn Coins? Answer: You can earn 1 Coin for every Rs.250 spent. You can earn a maximum of 10 Coins per order. Coins will get credited to your account after the completion of the return period of all the items in your order. Question: Where can I use the Coins? 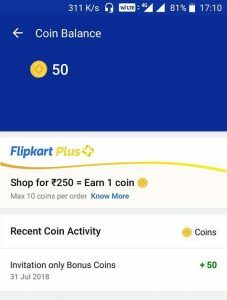 Answer: Use 50 Coins to join Flipkart Plus membership. You can use Coins to claim exciting offers in shopping, food, travel entertainment and other categories. Question: What is the validity of Flipkart Plus Membership? Answer: The Flipkart Plus membership is valid for one year from the day you join the program. Answer: PlusCoins will expire after 1 year at the end of the month in which they were credited to your account. Hence, all PlusCoins credited in a month will expire at the end of the month next year. • Coins credited on 15th Aug 2018 will expire on 31st Aug 2019. • Coins earned on 20th Aug 2018 will expire on 31st Aug 2019. • Coins credited on 30th June 2018 will expire on 30-June-2019. Question: Where can I check my Coin balance? Answer: Go to My Accounts and select Flipkart Plus Zone to open the page. The Coin balance is visible in the top section. Having any other questions or query? Just comment below and let’s discuss. And don’t forget to share this trick with your friends and colleagues. Thank you!